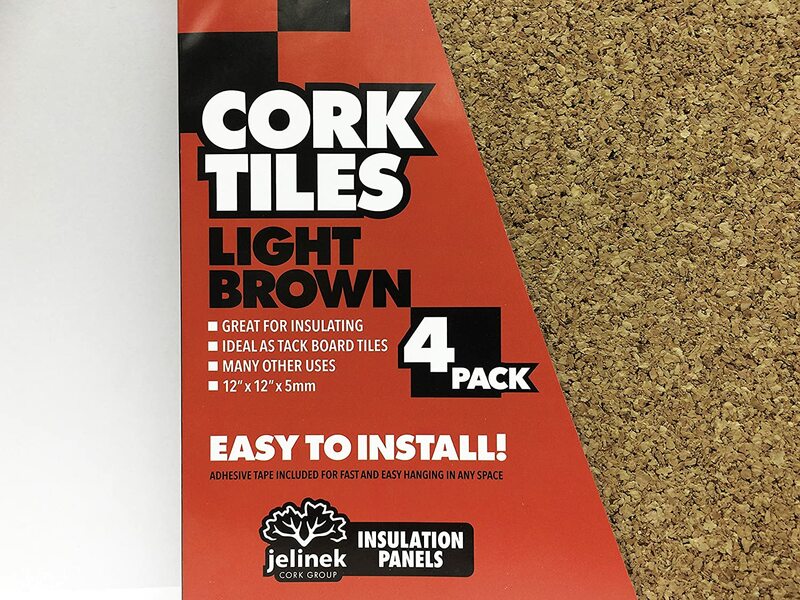 Frameless Cork bulletin board tiles. 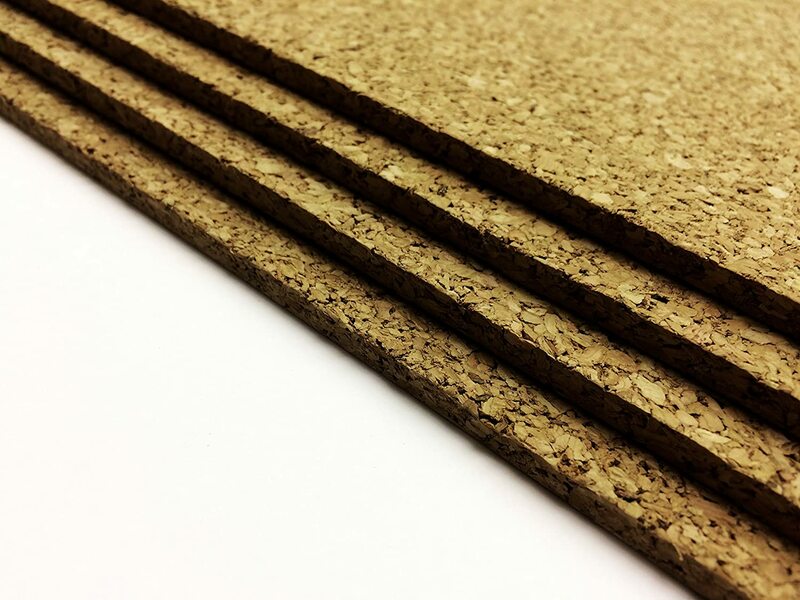 A quick, flexible and customizable solution to make your own cork board. 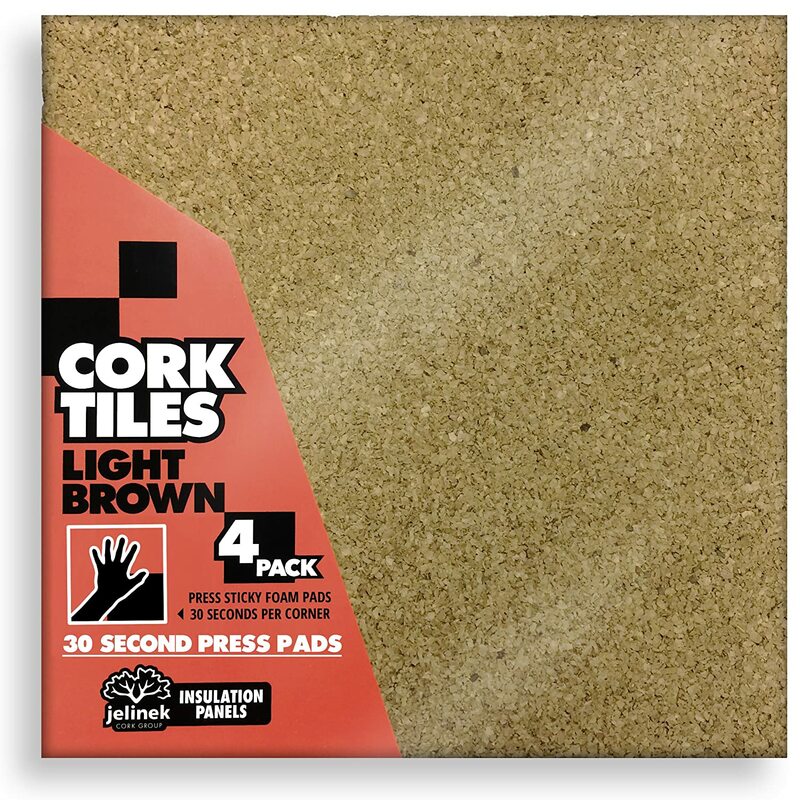 Symmetrical or asymmetrical, these frameless cork tiles provide a flexible design to organize your space. 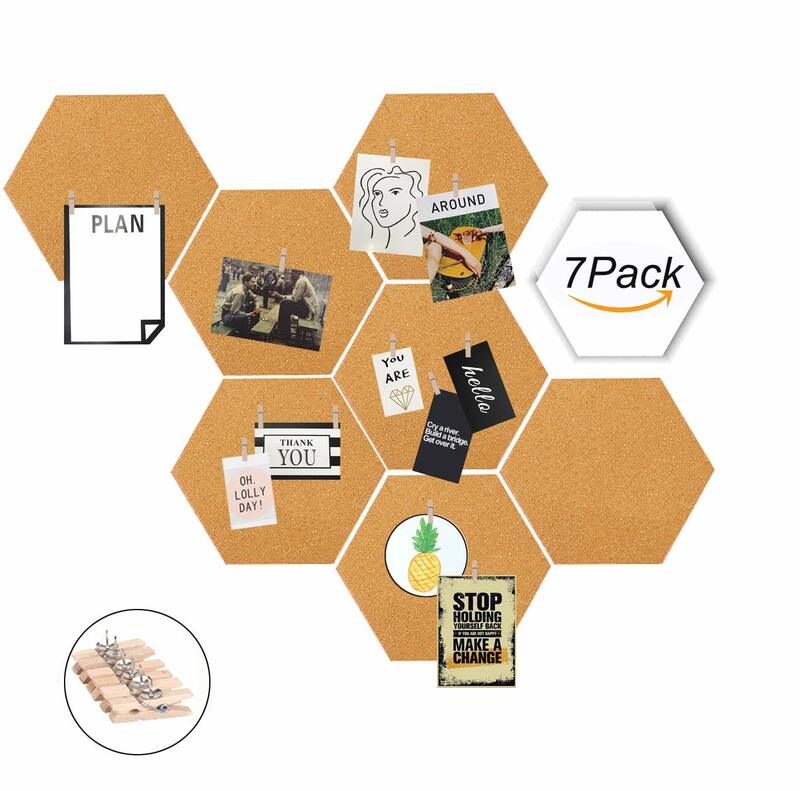 They are a great way to customize the layout of your bulletin board in the manner that you want. 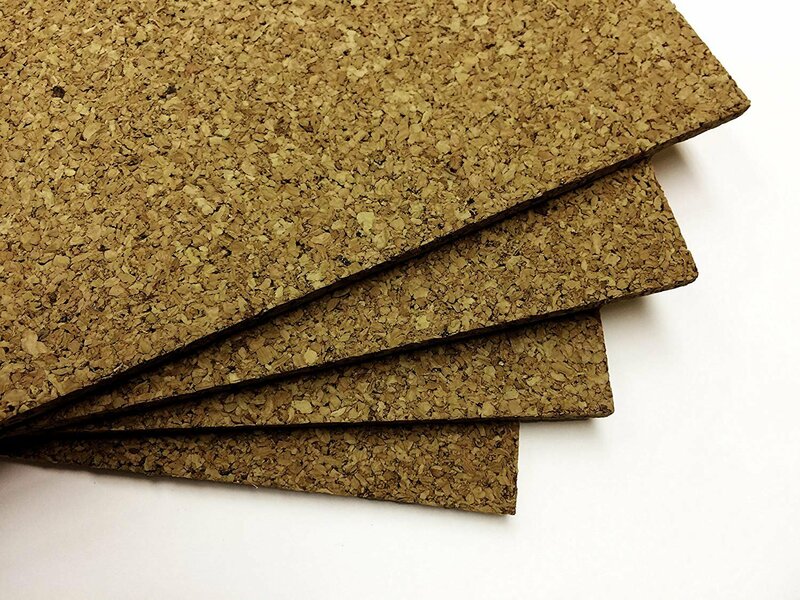 These tiles also offer the added benefit of noise absorption that only natural cork can provide, and they do it with a decorative touch. 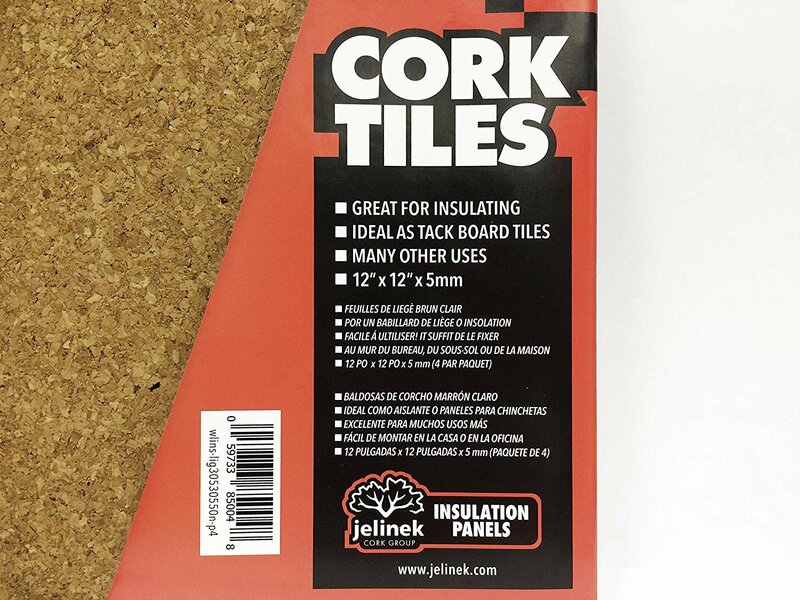 Cork tiles also make for excellent tack boards. 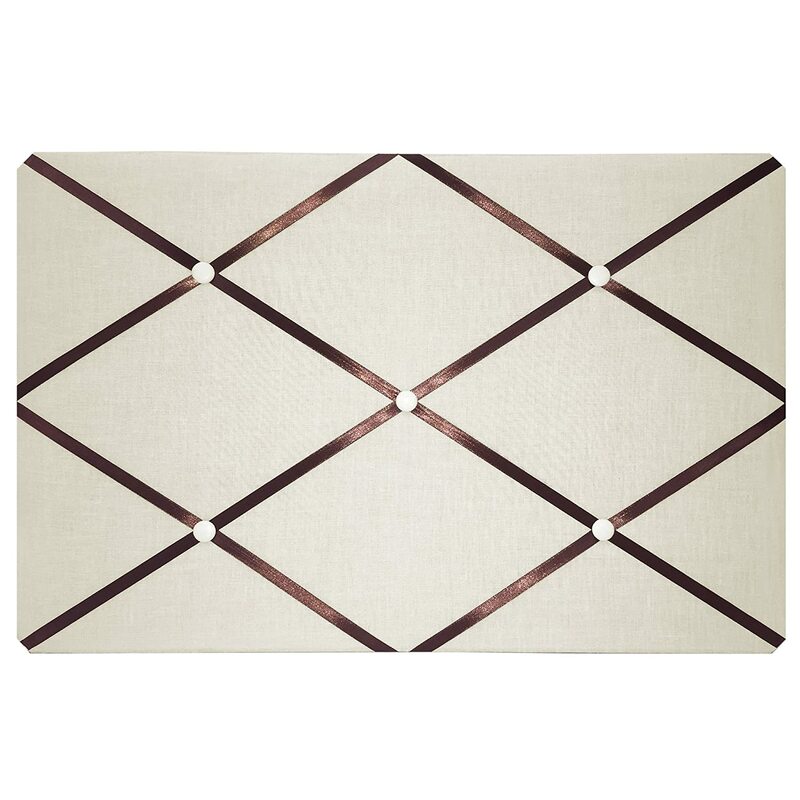 Tile dimensions: 305mm x 305mm x 5.0mm thick (approx. 12" x 12" x 3/16" thick). 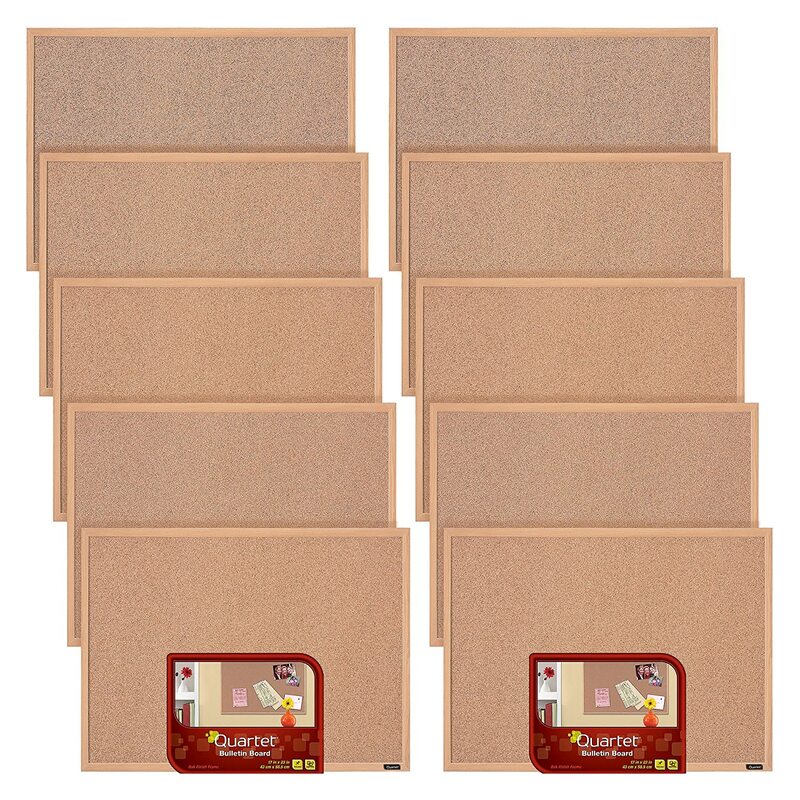 Each package of 4 tiles covers approx. 4 square feet (approx. 0.37m2). 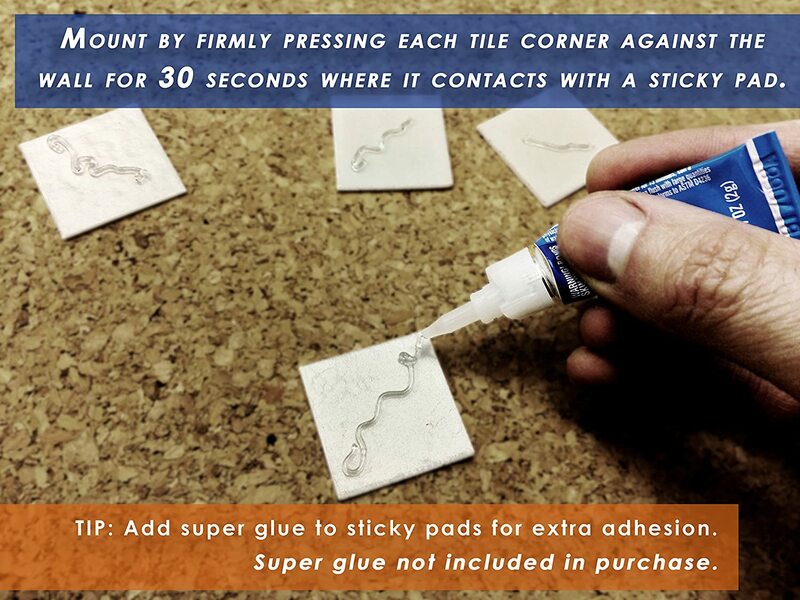 Includes up to 16 peel and stick adhesive pads for quick and easy mounting in any space. 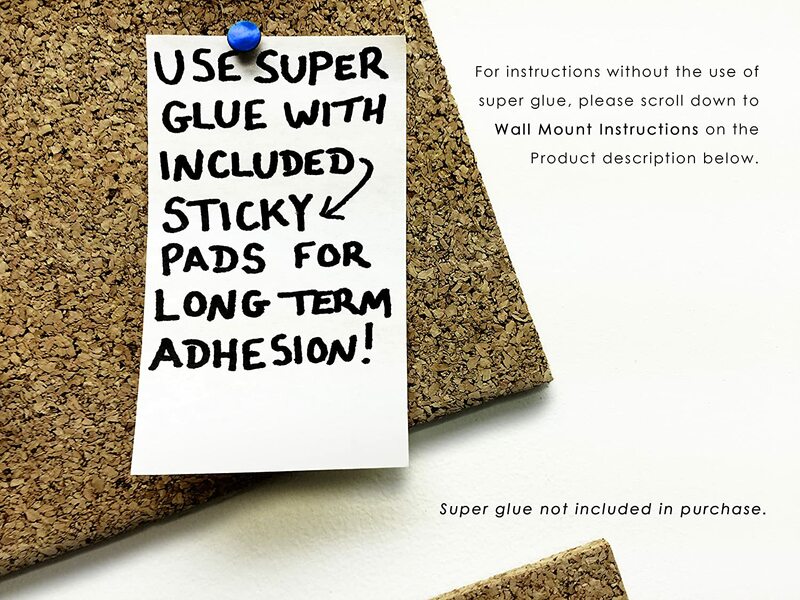 Please note: the adhesive pads are only provided as a general courtesy to customers, and they are a non-permanent mounting solution. For permanent wall mounting, please use super glue or contact cement which is available at most hardware stores. WALL MOUNT INSTRUCTIONS: 1.) Clean area of wall where you wish to position the cork tiles, and gently clear cork tile surface of any dust. 2.) Sticky pads will be attached at the sides. Separate them. 3.) Peel the liner facings off, and press one sticky pad face firmly into each of the four corners of the tile. 4.) Peel the liner backings off the other side of the now attached sticky pads, and press each corner of the cork tile firmly against the wall for 30 seconds over the point where the sticky pad is touching. 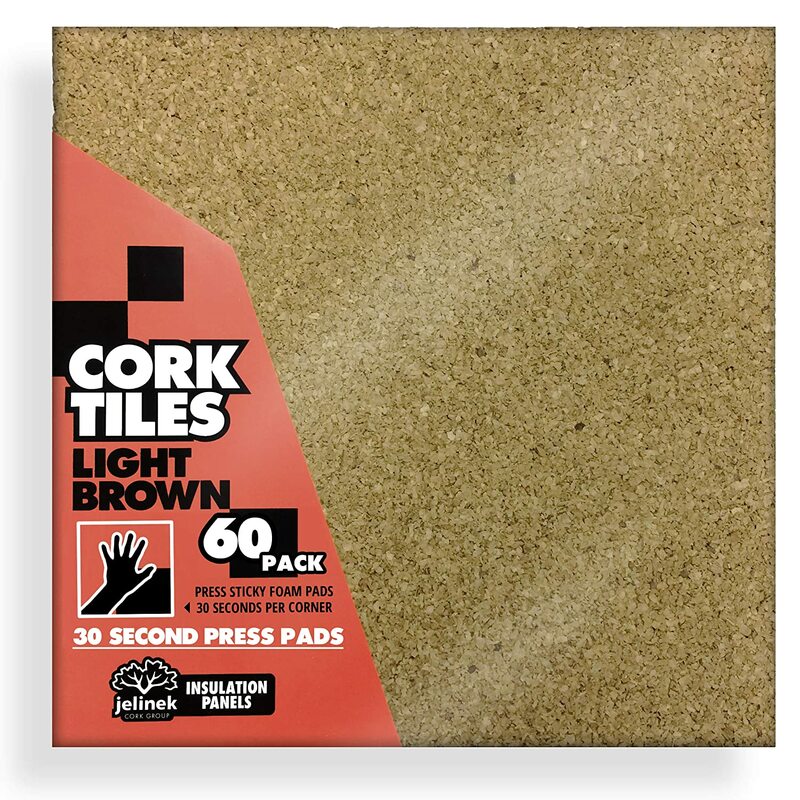 It's critical that the sticky pad material is pressed very firmly into the cork for each corner on the tile for 30 seconds. To permanently remove, gently use a piece of floss to separate sticky pads from the wall. 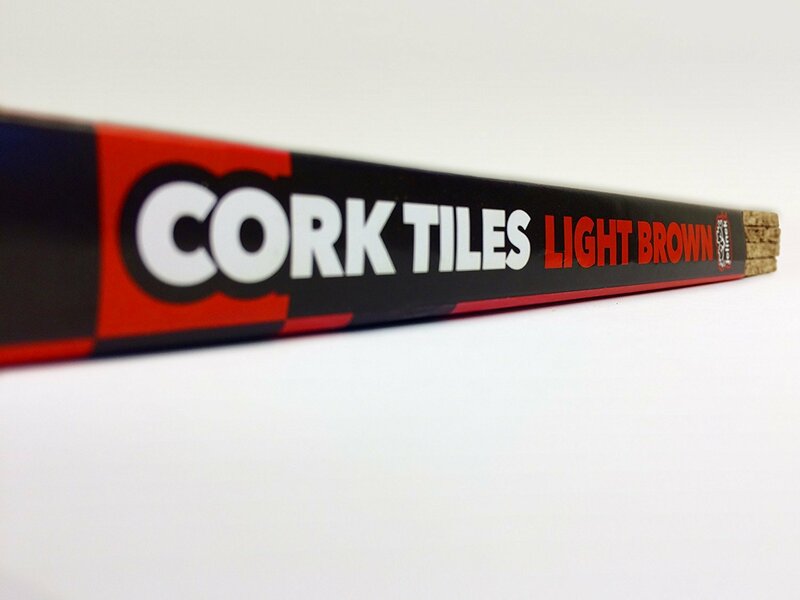 The cork tiles are as described. They are thin, but I used them over a cork board that had a thin sheet of cork on it. I used contact cement (spray) and it worked great. They are hard to trim evenly, but they served the purpose. You need to have a double layer if you expect push pins to go in far enough to hold papers securely (that was why I needed them for the cork board). I noticed in the reviews that people had trouble with these staying on their wall. Place all four sticky tabs at the top of the square as one unit. Weight is distributed and stays up. Besides that, these are great and you cannot beat the price. Put them up 2 days ago with nothing on them to all them to adhere to the wall. Came home to this...all broken and didnt stick to the wall. 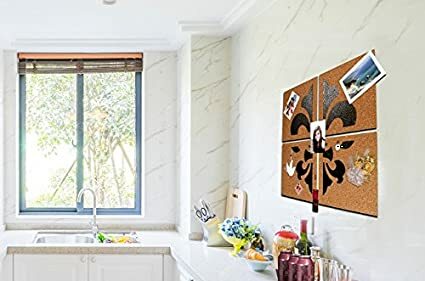 Bought this for my daughteru2019s room so she could have a place to display her drawings. It came with six tiles and adhesive foam. At first I was really happy that I was able to created a nice wall, but the titles began so fall one by one. I found myself constantly picking the titles off the floor and re-sticking them to her wall. I eventually got frustrated and ended up tossing them out. A few titles received damages from the frequent falls. Love them until they jacked the price up. They are great but not at the new price. We did purchase about 28 packs over a few months. Needed to buy 4 or 5 more packs to finally finish the room. We Will go elsewhere. It is good cork but not at that price. Item came a day early. Packaged securely. Manufacturer contacted me via email with detailed instructions/picturers for installation. Also said if I had any questions that I should not hesitate to contact them. Wow! Sounds like great customer service to me from an American company. This is exactly what I was looking for some craft projects I am creating. It is perfect for my needs. 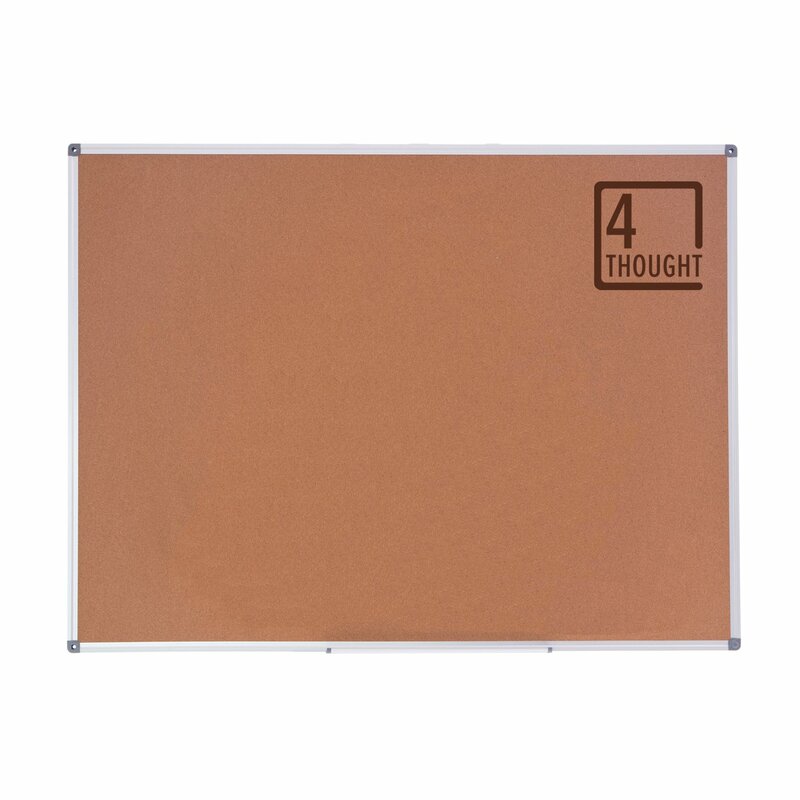 The thickness of the cork board is enough for small push pins to go through.